Filled with exercises and tips on how to read financial filings with efficiency, this course demystifies the most commonly used reports in an easy to follow step-by-step process. Investment professionals live and breathe these seemingly daunting documents. The more documents you see, the more manageable they become. Combined with a foundation in accounting, financial statement analysis, and corporate finance, understanding how to navigate financial reports is an important part of effective financial analysis. Investment professionals live and breathe these seemingly daunting documents, and the more documents you see, the more manageable they begin to feel. Using real reports, we will review the structure and composition of some of the most commonly used financial filings, and will specifically pay attention to sections and disclosures that are most relevant for typical financial analyses. Learn the layout and composition of financial reports such as the 10-K, 10-Q, 8-K, S-4, S-1, and many others. Read and understand financial footnotes. Filled with exercises that test and reinforce covered concepts. Learn to recognize patterns in the structure of the various financial reports to improve efficiency on the job. 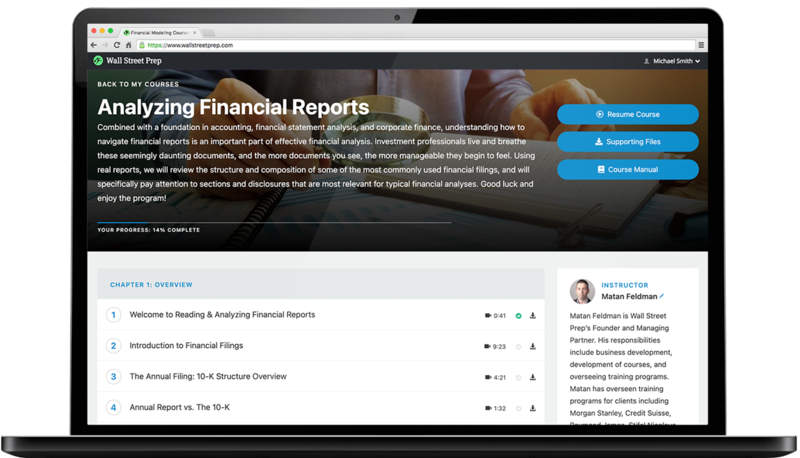 Taught using clear, easy-to-follow materials that bridge academic concepts with how they are presented in financial reports. 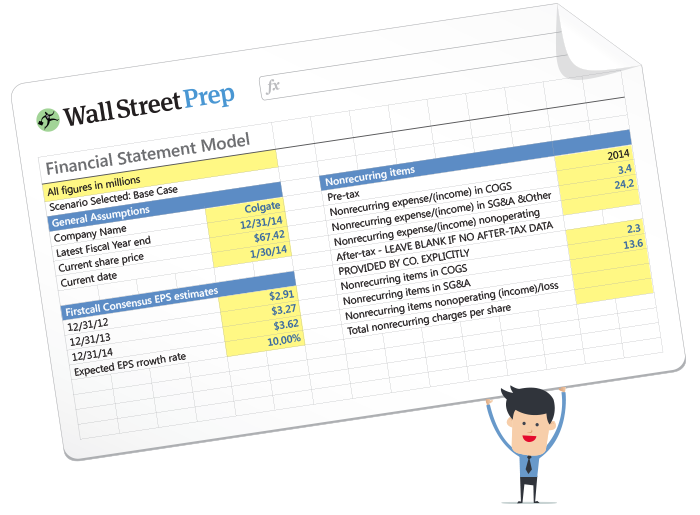 Wall Street Prep's Analyzing Financial Reports course is used at top financial institutions and business schools.